We highly welcome your interest in the ESSEC & MANNHEIM Executive MBA program. It is our goal to offer you an Executive MBA experience that meets your professional needs and expectations. At the same time, we are looking for highly skilled and dedicated executives who value diversity and are willing to contribute to the collective learning experience which is at the heart of the program. As we operate a rolling admissions process, you can submit an application at any time after your counseling with admissions. Note that there are limited places in each class. We therefore encourage you to apply as early as possible to secure your place. In the ESSEC & Mannheim Executive MBA, participants have a lot in common with each other: They have already achieved success in their careers, they are highly motivated and dedicated to their work, they enjoy learning new things and developing both personally and professionally, and look forward to doing so with other participants. If you meet the admissions criteria for the ESSEC & MANNHEIM Executive MBA program, please contact us either in person or via phone or e-mail. Discuss your professional objectives with our admissions team and receive a first feedback regarding a potential application. We invite you to one of our Open Days or Information Sessions in Mannheim which are designed to help interested professionals get a very detailed idea of what it means to pursue an Executive MBA at ESSEC & Mannheim Business Schools. Once the admissions team has indicated you should hand in your application, you may apply. A non-refundable application fee of € 150 must accompany your application. After your application has been submitted, it will be reviewed by the Admissions Committee, who will then invite selected candidates for an interview in Mannheim. This interview gives us the opportunity to find out more about you and to answer any questions that you might still have. Within approximately one week after your selection interview, you will receive notification of whether or not you have been admitted into the program. Tuition fee for the ESSEC & Mannheim Executive MBA program is € 49,500. Fees cover tuition, required books and other materials as well as accommodations during study trips. Airfare is not included. Participants and/or their companies are billed in installments in the course of program. Early applicants can score a good deal even before starting: Applicants who have completed the application process by June 30, 2019 will receive an early-bird discount of €2,500 on the tuition fees. 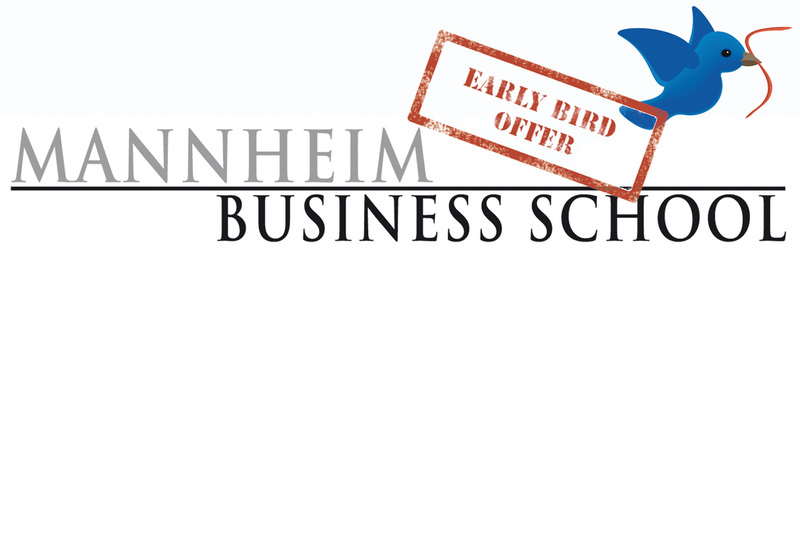 Mannheim Business School offers a number of partial scholarships to outstanding candidates. Improve your chances by sending us your application as early as possible. We will be pleased to advise you personally. Application on a separate form is required. In order to apply for one of the exclusive scholarships, please contact our Admissions Manager for the Executive MBA Programs, Nilgün Vatansever. She will send you the scholarship application form.